On the heels of her highly praised sophomore album, No Longer At Ease, Nigerian-born Hamburg-based singer Nneka is back with a brand new full-length! Released on September 27th, Soul Is Heavy is further proof that this talented young lady is an artist to be reckoned with on the R’n’B scene. 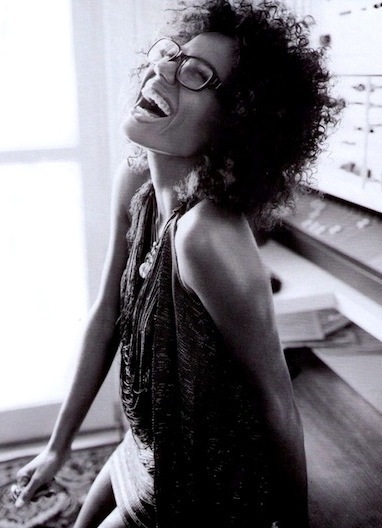 Hailed by critics as the new Lauryn Hill, Nneka started out in 2005 with her debut album Victim Of Truth, considered by the UK’s Sunday Times as good as the ex-Fugees brilliant solo debut The Miseducation. The first single off Nneka’s new album already sets the bar pretty high. “My Home” combines reggae-tinged arrangements, a brass-laden hook, an irresistibly bouncy bass line and a clinky piano sample! Four seemingly disparate elements blended together with incredible ease to produce a song that hits you deep and leaves you yearning for more. Nneka effortlessly plucks from soul, reggae, hip hop and rock, to create a fusion that is bigger than the sum of its parts. Her songs breathe and evolve at their own pace, rarely maintaining a singular theme or beat strain throughout. Soul Is Heavy is a fine example that amongst the autotuned, radio friendly, disposable pop stars, there are still artists who make earnest, creative music with a meaning, and who can sing about politics and social issues as convincingly as love and heartbreak.